The Specialty Sales Co. 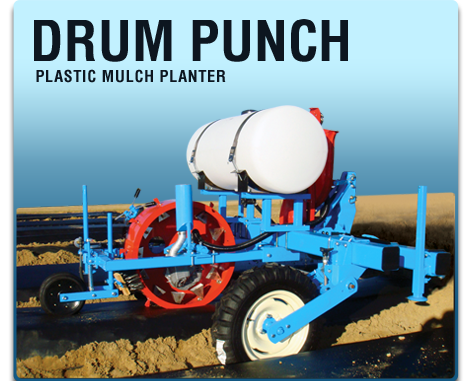 Drum Punch Plastic Mulch Planter is in-house, patented technology proudly designed and manufactured right here in the United States. Plastic mulch planters are not the wave of the future. These thru plastic planters are what's happening right now in agricultural technology and lead the pack when it comes to raised bed equipment. 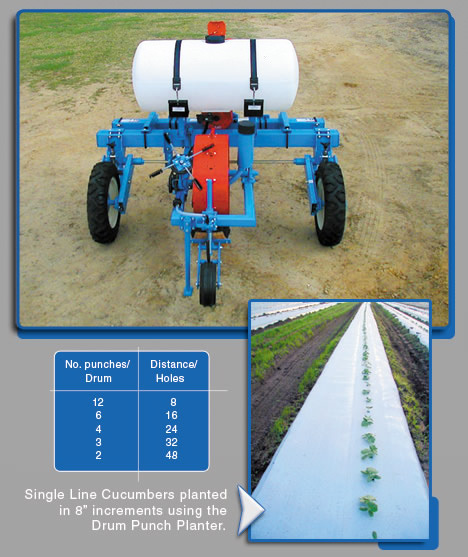 The Drum Punch Planter uses the latest technology in plasticulture manufacturing to insure accurate seed placement while utilizing the Monosem seed metering unit. This unit is the most accurate metering system on the market. It singulates all seed for precise seed populations. The seed is ejected just above the seed chute, which carries the seed to the punch for ideal placement depth in the soil below the plastic mulch layer. Then, the water system delivers water directly onto the seed at planting to insure even germination. When you think plasticulture you should seriously consider the Drum Punch planter. 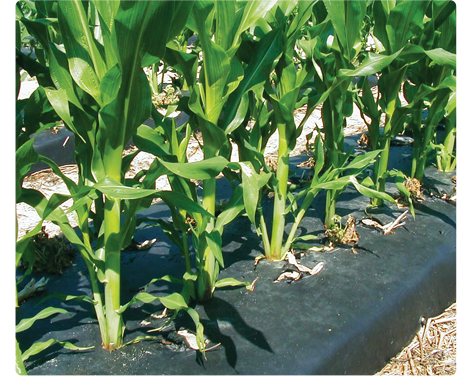 Plastic mulch layers are being put to use by modern farmers all over the continental United States and Canada and the Drum Punch is the way to plant. Specialty Sales has both new and used Drum Punch Plastic Mulch Planters for sale with raised bed equipment parts and service available. Call or email today to buy your new or used unit or to get more information.